What age should your cockatoo be when you take it into your house? Do you want a baby cockatoo, or an adult? What are the up- and downsides to either one? Many people are tempted to buy a baby cockatoo because they look so cute. A sweet baby cockatoo, often with very little feathers, still depeding on a formula for food. It is said that raising such a baby cockatoo is easy and that it will grow up to be extra tame and loving. In practice it is often difficult to raise a baby cockatoo. Also later in life a baby cockatoo can show behavioral problems or will not be the same bird as it was when you got it. Some people manage to raise a social, friendly and balanced cockatoo out of the little baby bird the bought, but not everyone will be this successful. There are many adult cockatoos that are in need for a new home. Often they are tame and, while some have behavioral problems, many do not. These cockatoos are in need for a new home for various reasons: financial problems of the owners, a baby is on the way, the owner got a more demanding job, the owner has health issues or the cockatoo does not match the expectations of the owner. These cockatoos make great pets if they can be rehomed. Older cockatoos can still live for a long time as they can become 80 years old, they can still learn new tricks and can learn to speak new words. They can get just as tame as affectionate with you as a young cockatoo can. When seeing an adult cockatoo, you can immediately judge his character and behavior, with a baby cockatoo you need to wait around two years before his true character shows. 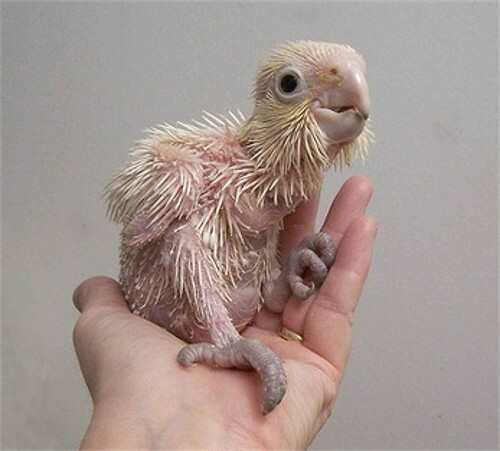 A baby Goffin’s cockatoo. Very cute but very delicate and needy as well. 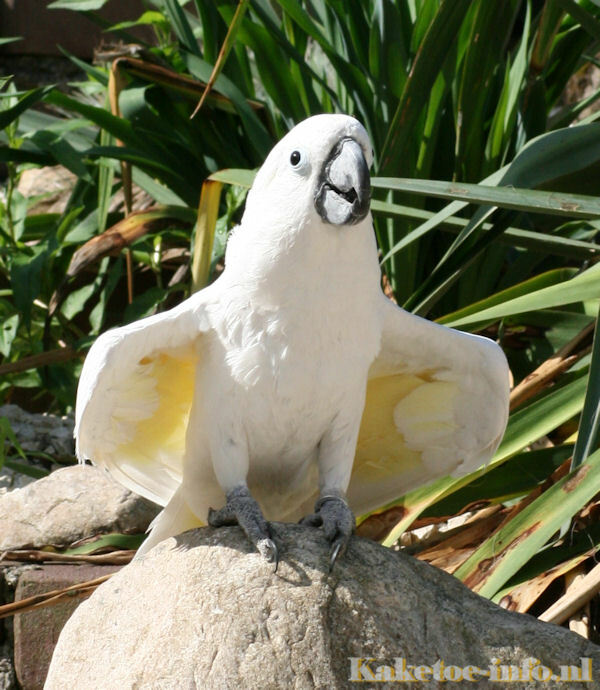 A cockatoo can turn against the owner who raised it as a baby when it reaches sexual maturity. I own an Umbrella cockatoo, a male. It was already 4 years old when I got it. It was hand raised by the breeder and was sold to a couple when it was just independent from hand feeding. The couple sold it to a trader after a few years because the neighbors could not appreciate the screaming. I bought it from the trader and named it Coco. Coco was immediately tame, could talk and new basic tricks like stepping onto your hand. Coco does not show any behavioral problems or health issues and has never bit me. To me Coco is an example of an adult cockatoo that is perfectly fine but was still in need for a new home. If I would have chosen a baby cockatoo, Coco could have ended up in an animal shelter. I think it is your duty to first check if there are any adult cockatoos suitable for your home before you start looking for a baby cockatoo.